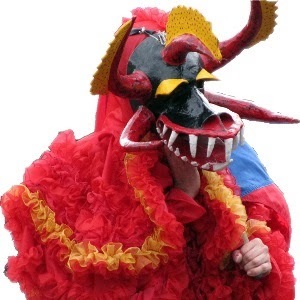 The San Sebastian Street Festival (Fiestas de la Calle San Sebastián) has been going strong for over 40 years, and it's one of the Caribbean’s biggest and best street parties. 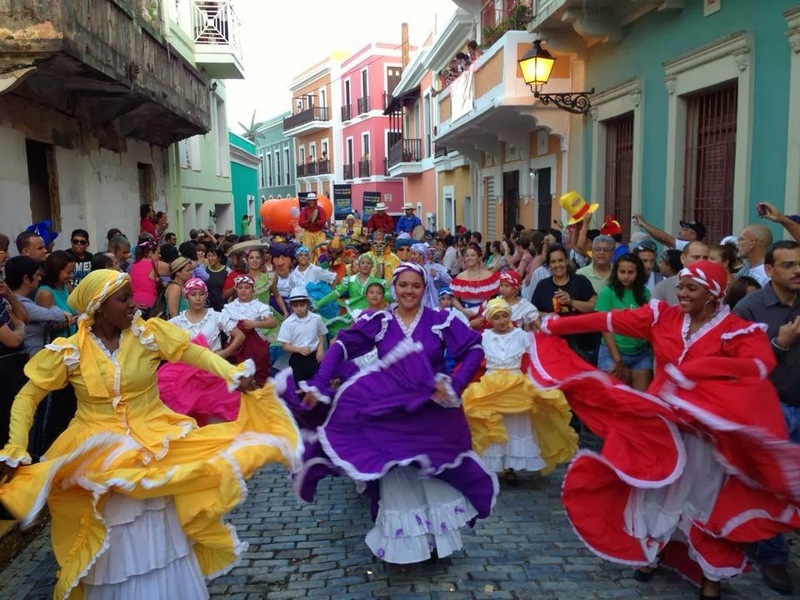 Puerto Ricans and tourists, from around the globe attend, and this year more than half a million people are expected to be in Old San Juan over the four day festival period. 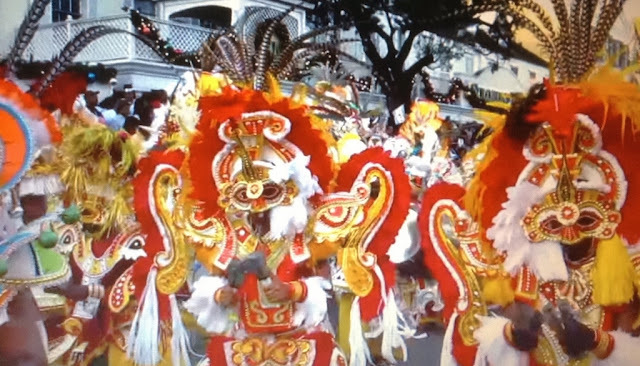 The annual festival blends the artistic, cultural and religious during the four day event. 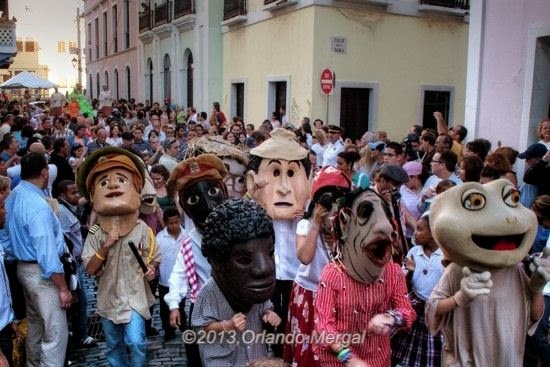 The large parades include bands, masked clown characters (vejigantes), stilt walkers, singers, street musicians, and huge, paper mâché heads called cabezudos. 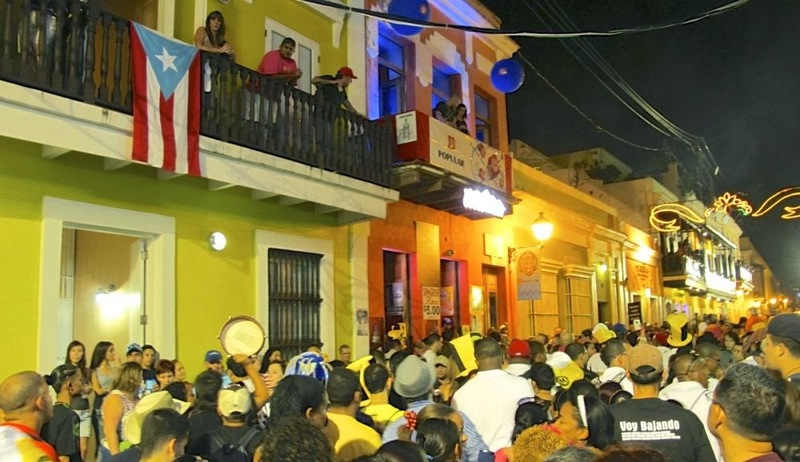 The cabezudos are comical image or likeness of people important to Puerto Rican history or heritage, such as local musicians, comedians, and Dona Fela - the first female mayor of San Juan is usually represented. The artistic culture of the island is on display everywhere from local artists, artisans and writers. More cultural events are presented by orchestras, children's theater, and folkloric ballet. The main artisan area will be located at Cuartel de Ballajá, however all along the parade routes you will find artisans displaying/selling their works. The festival started 40 years ago in honor of St. Sebastian. The money from the festival was used to repair the San Jose Church in Old San Juan. The festival was discontinued for awhile, but started up again in 1970, and since then it has evolved into a Puerto Rican cultural tradition. The main entertainment stage is at the Plaza del Quinto Centenario, and during the festival salsa bands, bomba and plena groups, along with other entertainers will perform.